Players have discovered hundreds of cheat codes for "Fallout 4" on PC, but the Xbox One version also has its fair share of secrets. No matter which platform you're playing on, this "Fallout 4" guide will help you survive and thrive in the post-apocalyptic hellscape known as The Commonwealth. Some of these cheats may occasionally cause the game to crash, so save your game before entering any console commands. You'll need to know specific ID codes to use some of the above cheat codes. Fortunately, if you select a character or item while the console is open, you can view its ID. Use the Page Up and Page Down keys to scroll through the lists, and be sure to use quotes if searching for queries with more than one word. 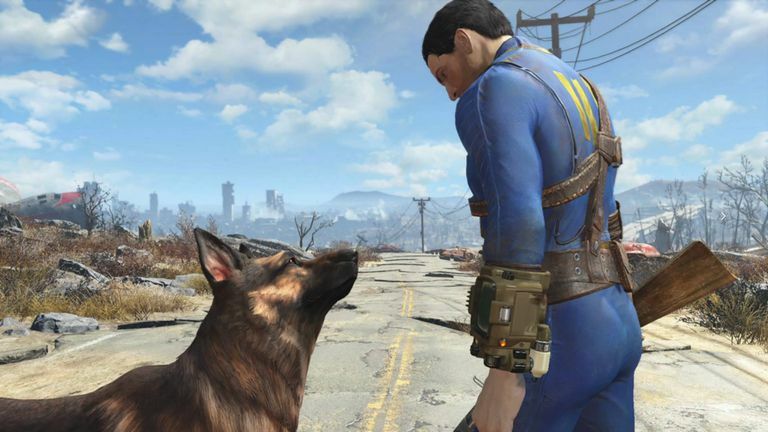 The following cheats apply to "Fallout 4" on Xbox One, as well as the PC and PS4. You'll need the "Contraptions DLC" to pull off this trick. Drop an item you wish to duplicate on the ground, then command your dog friend to fetch. If you pick it up at the same time as Dogmeat lowers his head, the item will go into your inventory, and he will then drop another one. This glitch could eventually be patched, but it still works as of February 2019. Duplicate the "You're Special!" magazine to get infinite attribute points. It's located inside your old house in Shaun's room. First, have a Sniper Rifle with strong fire power and a long-range scope. You can purchase one in Diamond City or Bunker Hill. After joining the Brotherhood of Steel at the Cambridge Police Station, complete the "Tour Of Duty" quest. Talk to Proctor Quinlan on the airship and agree to assist on a patrol to receive the "Learning Curve" quest. Head to the deck of the airship and lower the difficulty to Very Easy. Now, shoot your Brotherhood ally. After four or five shots, the quest will end, but you'll get the reward anyway. If you can safely make it back to Proctor Quinlan, he'll give you XP and the option to restart the quest. Repeat as many times as you please. If you come across an unowned safe near a hackable computer terminal, you can pick the safe and lock it again using the terminal as many time as you please. You'll earn XP and raise your affinity with Piper, Cait, and Deacon all at the same time. After completing the "Tour Of Duty" quest, you can pickpocket fusion cores from knights aboard the Prydwen airship. Go after knights in secluded areas so you can get away without being spotted. If successful, the knight will come out of their powersuit and replenish their fusion core, allowing you to steal another one. Repeat as often as you like, but quicksave after each attempt in case you're caught red handed. Although you can trade items directly with your companions, a better alternative is to simply drop an item on the ground. Your companion will obey your command to pick it up even if their inventory is technically full. This trick allows you to carry heavy weaponry into battle without it weighing you down. Right before you crash into the ground from a deadly height, save your game. You'll die, but when you load the save file, you'll be safely on your feet where you landed. East of Oberland Station, you'll find a crashed alien spaceship. Follow the nearby trail of green alien goo over the hill, down a cliff, and inside a cave. Put the alien out of its misery to obtain the Alien Blaster Pistol and ammo. This powerful weapon comes with just 400-550 rounds of ammo, which cannot be found anywhere else in the game. You can modify the weapon to use fusion cells, but the shots won't be as powerful. Obtained during Detective Case Files: "Long Time Coming"
In addition to console commands and cheats, "Fallout 4" also supports player-made mods. The official Bethesda website is the safest source for mods, and the Nexus Mod Manager makes installing them a breeze.